Covering around 27 percent of the earth’s land surface, mountains play a critical role in moving the world towards sustainable economic growth. They not only provide sustenance and wellbeing to 720 million mountain people around the world, but indirectly benefit billions more living downstream. In particular, mountains provide freshwater, energy and food – resources that will be increasingly scarce in coming decades. However, mountains also have a high incidence of poverty and are extremely vulnerable to climate change, deforestation, land degradation and natural disasters. 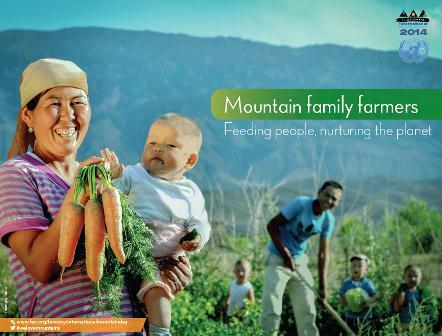 This year, the celebration of this Day aims to highlight Mountain Farming. Here we have an opportunity to raise awareness about how mountain agriculture, which is predominantly family farming, has been a model for sustainable development for centuries. Family farming in mountain regions is undergoing rapid transformation due to population growth, economic globalization, urbanization and the migration of men and youth to urban areas.